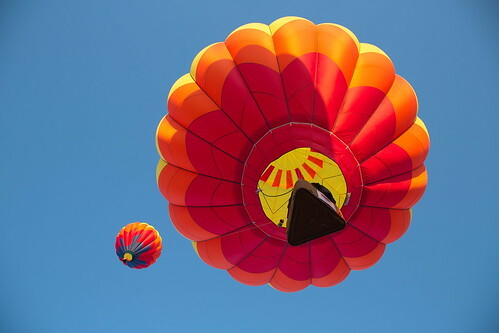 Up, a photo by The Bacher Family on Flickr. 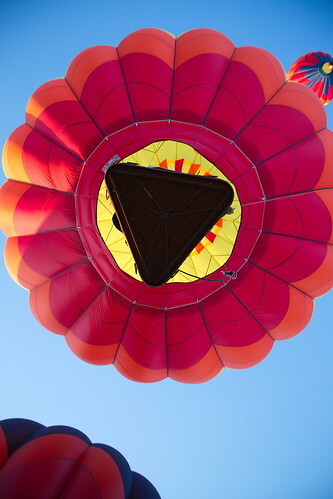 At the sunrise balloon liftoff of the Albany Art and Air Festival, I was tickled when one of the brightly colored balloons floated directly overhead. 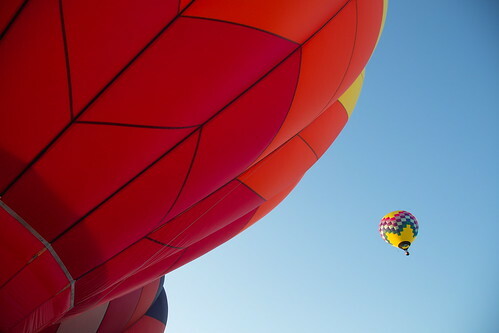 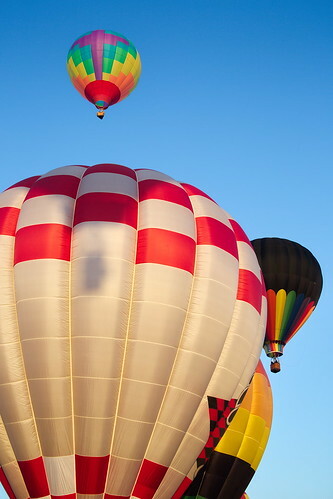 I love the interesting nested geometry of the triangular basket inside the concentric circles and radial lines of the balloons, all set against the pale blue light of a morning sky already filled with colorful hot air balloons. 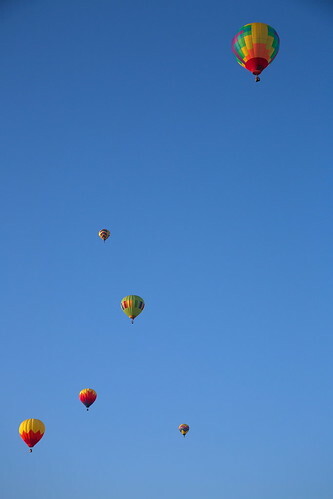 Here's another image showing just how stunningly blue the sky was that morning, the perfect backdrop for the colorful fabrics of the balloons.